Why is there always one child who persistently plays with the door, who mixes sand with water or throws objects across the room? Can these repetitive behaviours, known as schemas, be useful in targeting children's next steps within the EYFS? Is there a way to use them to unlock learning is young children? Schemas: A Practical Handbook not only explains what schemas are and how to identify them, but also expands on that knowledge. 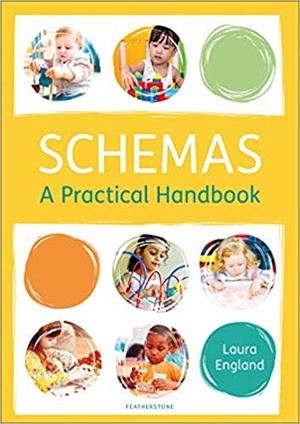 With the use of pragmatic ideas, rather than being based solely on theory, it explores how schemas are useful in developing children's learning alongside what they already do. The standalone chapters each revolve around a particular schema and feature case studies to discuss how that schema can be used to help children progress within the seven areas of learning, as outlined in the EYFS. Laura England further supports this development with suggestions for enhancements to the environment, core resources and activities. This step-by-step guide is essential for practitioners wishing to further their understanding of children's learning.